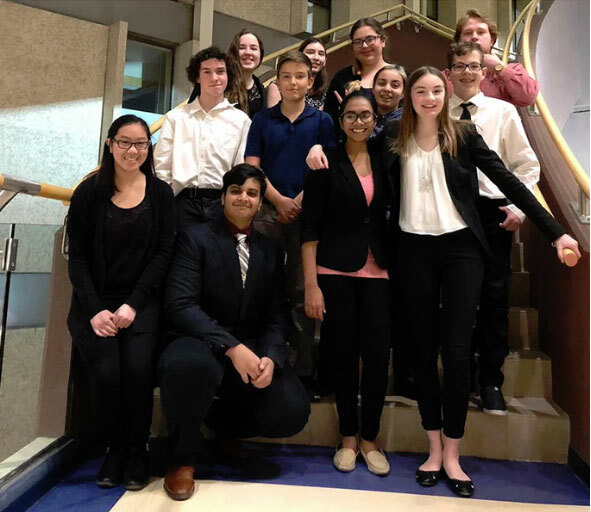 REGINA, SK – Jump.ca has partnered with Saskatoon-based company, Tech Protect, made up of grade 11 students from Aden Bowen high school who produce 3D printed, biodegradable smartphone charger cord protectors. Starting April 8, 2019, the charger cord protectors will be available at two Jump.ca stores in Saskatoon, including Centre Mall and Preston Crossing, both of which have repair centres. Tech Protect Company is an academic-skill based business established through Junior Achievement Canada, a youth business organization dedicated to providing students with the knowledge and confidence they need to succeed in school, business, and life. “The many skills and opportunities that Junior Achievement provides us with are what got us interested in entrepreneurship. We wanted to learn how to create and run a business on our own and this has been the place to do just that” said Riti Nawroz, founding member of Tech Protect Company. Their eco-friendly charger cord protectors derived from corn filament are available in various colours and are designed to prevent breakage, damage and destruction of both Apple and Android charger cords. By fitting on the end of the charger cord, the protector prevents the cord from fraying and breaking, helping to extend the life of your smartphone charger. “We chose to partner with Jump.ca because like them, we are a community and technology-focused local business and we wanted to work with similar-minded people” said Margaret Parsons, another founding member of Tech Protect. “Our main goal is to move beyond just phone chargers and into different electronics such as computers or headphones. We want to continue to evolve and improve our products while being eco-friendly. Tech Protect as a company has always been conscious of our environmental impact and we encourage others to be so as well.” The partnership between the two companies came about naturally, as Jump.ca prides itself on offering Saskatchewan residents an unmatched variety of unique, local and innovative wireless accessories that support todays consumers’ connected lifestyles. Starting April 8, when a customer purchases a repair service at Jump.ca at the Centre Mall or Preston Crossing valued at $50.00 or more, they will receive two Tech Protect smartphone charger cord protectors of their choice at no extra cost. For more information on Tech Protect, follow @tech_protect_company on Instagram and Facebook or visit their website at techprotectcompany.wixsite.com/techprotect.